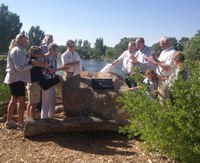 Mayor Richard J. Berry and City Councilor Brad Winter dedicated the southern Catch and Release Pond as the "Bob Gerding Catch and R elease Pond," in memory of Mr. Gerding, an ambassador for the New Mexico outdoors who passed away in December of 2013. Bob Gerding was an avid fisherman, and served as a steward in the community for fishing at Tingley Beach. For 15 years, Gerding produced Bob Gerding's Outdoor Adventures Hunting & FishingShow, a three-day extravaganza each February at Expo New Mexico that drew thousands of attendees and hunting and fishing vendors from as far away as Australia and South Africa. 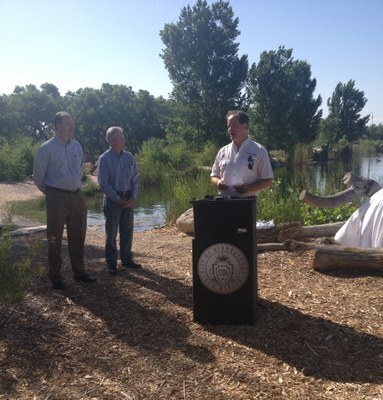 "Tingley Beach is a great recreational area for families," said Mayor Berry. 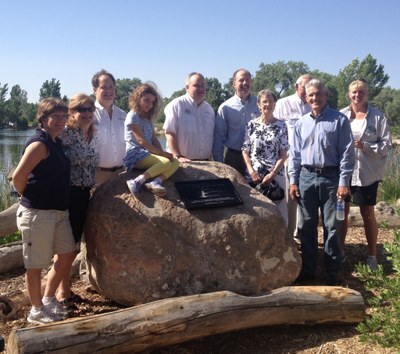 "Bob Gerding recognized its value to our community and because of his commitment to this beloved place and his legacy of introducing children to the great outdoors, we are proud to be a part of the dedication." 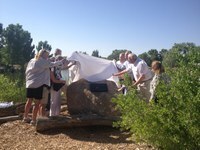 "As a fly fisherman, I know that Bob was instrumental in growing recreational fishing here in New Mexico for folks of all ages. 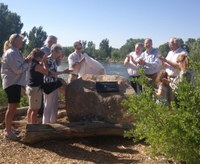 It's an honor, and a small token of appreciation, for the City to be able to dedicate this pond to Bob and his family," said City Councilor Brad Winter. Walk with friends and leashed dogs on nearly 1 mile of paved trails under young cottonwoods, across bridges and next to public artwork. Rent a pedal boat in the summer from 10 a.m. - 5 p.m. daily (open until 6 p.m. on weekends). Tingley Beach also offers easy access to the biking and hiking trails in the adjacent Rio Grande Bosque.